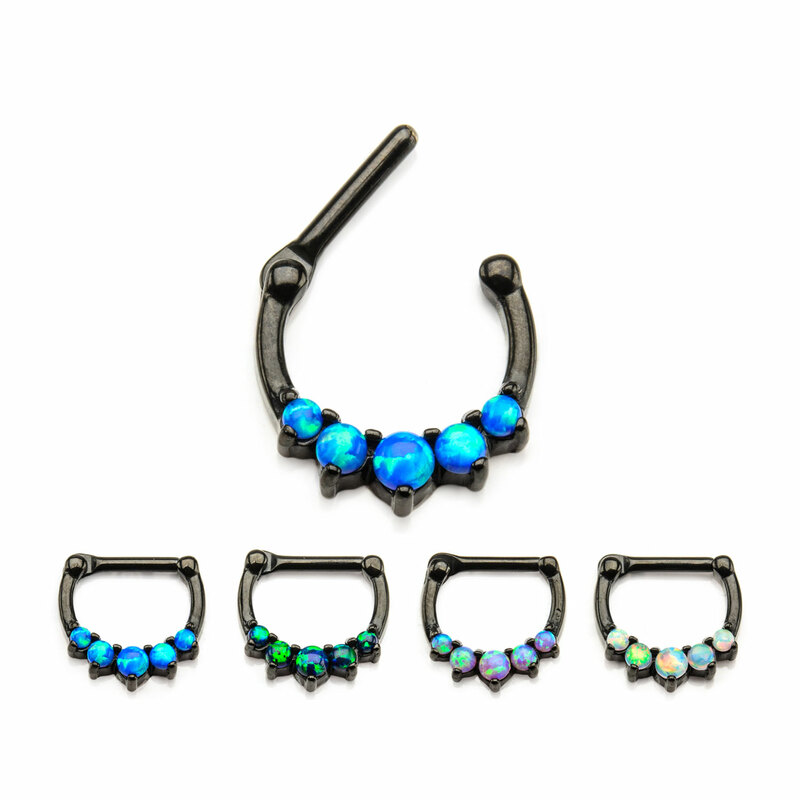 Black PVD Plated Surgical Steel Septum Clicker with 5 Prong Set Synthetic Opal Cabochons. Great for Daith Piercings. Made from 316L Surgical Stainless. Each sold individually.